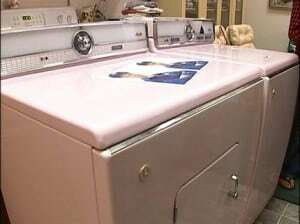 Is your washing machine or dryer giving you trouble? A broken washing machine or dryer can result in quite the headache as you will be forced to carry loads of laundry to the nearest laundromat. In addition, you may also need to spend your valuable time hand-washing your clothes in the sink and hanging them up to dry. If your washing machine or dryer is acting up, you may need to purchase a completely new washer or dryer; however, a washer or dryer replacement can become quite expensive, particularly after you factor in the features of the new appliance as well as scheduling the delivery of the new washer or dryer. If you want to save time and money, consider washer and dryer repair options before making the decision to purchase a completely new one. Some repairs may be simple enough to fix by yourself, but more complicated repairs may require the skills of a professional appliance repair technician. Some of the most common issues that you may experience with a broken washing machine include leaks and excessive noise throughout washing cycles. If your washing machine is leaking, the first thing you will want to do is unplug it and check the door seals for any wear and tear. If the leak is coming from the front of the machine, the door gasket will likely need to be replaced. If you notice that the water is leaking from the back or from underneath the machine, try tightening the connections between the machine and the hot and cold hookups. If any electronic components are involved, consider deferring to an appliance repair professional. If your washer is creating too much noise throughout each cycle, it most likely means that your drum is not balanced correctly. Be sure to level the washer so that it is level with the floor. If leveling the washer does not reduce the noise, you may need to replace the motor mount. Again, this type of repair is best left to a professional. If you are still having issues with your washing machine after these repair attempts, you may then need to invest in a replacement. When it comes to your dryer, one of the most frustrating issues that many people have is when the dryer itself will not start. If you are having a difficult time getting your dryer to start, the first thing you will want to do is to check the breaker at the electrical panel to ensure that the breaker has not tripped. If the breaker has tripped, try to reset the breaker and start your dryer again. If you feel uncomfortable repairing your dryer by yourself, request the expertise of a professional. Another common problem that may encourage you to replace your dryer is when your clothes are still damp and cold by the time the dryer reaches the end of the cycle. For this particular issue, you will want to contact a professional since this type of repair will require you to get inside of the dryer to locate the fuse that is on the outside of the heating chamber. If you are inexperienced with washer or dryer repair (or appliance repair in general), it is highly recommended that you contact a professional in order to avoid injury or worsening the condition of either appliance.